At the initial stages of any Self Build project, a common stumbling block comes in the form of finance. Many potential Self Builders aren’t sure what their options for financing their build are, and can be put off committing to their plans. 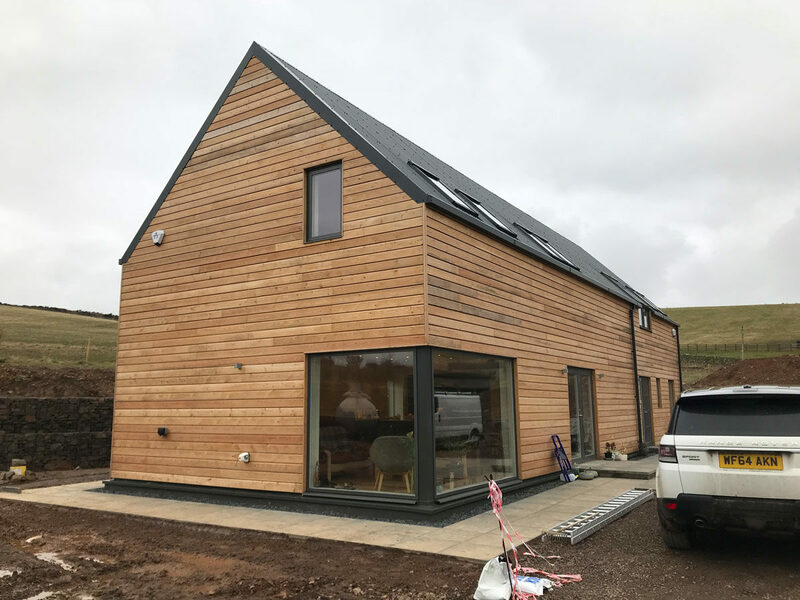 Whilst it may seem daunting, there are a number of ways to help you finance a Self Build, and assessing these options to find the most suitable route for you is fundamental to achieving your Self Build dream. A usual place for most Self Builders to start is with an injection of their own cash savings. Building societies such as Nationwide advise that personal savings can be a useful way of offsetting some of the Self Build Costs – such as paying rent for temporary accommodation during the build process. However, this advice is only relevant if you choose to sell your current home before embarking on your Self Build. Personal savings and any equity raised from the sale of your home (if you have chosen to sell) are good starting positions. However, more often than not Self Builders will need to acquire a Self Build mortgage to finance their project. It is best to speak to a few mortgage providers to work out which one can offer the optimum Self Build mortgage option for your financial circumstances and your design plans. 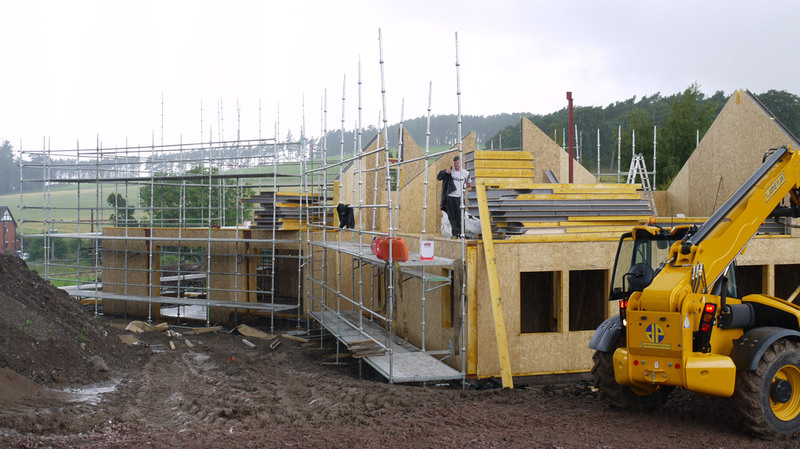 Unlike buying a home, a Self Build project requires a series of payments in accordance with the different build stages. One of the key problems faced by Self Builders is cash flow. 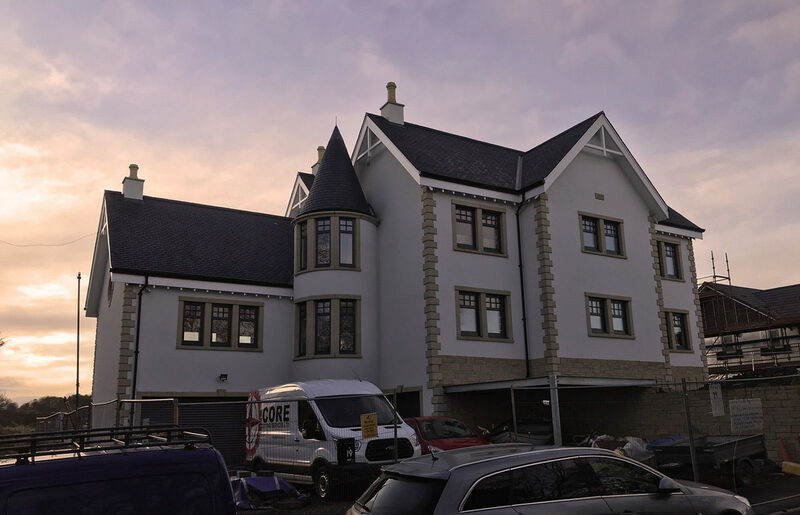 Working closely with contractors to create a full house-costing and project timeline can identify any areas where cash flow might be tight – for example, ordering parts of the build with larger one-off costs, such as the main kit or windows. These can then be factored into the staged release payments with the Self Build mortgage lender, removing potential cash flow problems before they exist. Some banks and building societies differ, but there tends to be two types of Self Build mortgage available. The first is on an arrears basis and the other in advance. More suited to those with some savings behind them, the arrears Self Build mortgage sees the lender release the funding at the end of each of the stages once the work has been completed. When buying a plot of land, the arrears Self Build mortgage option suits those with substantial savings, as the lender tends to release the funds for the remaining cost of the land after the Self Builder has paid a significant percentage as a deposit. Having sufficient savings to begin the early stages of the build work, such as the digging of foundations, is also beneficial and a Self Build mortgage in arrears could be the best option for you if your savings cover this. Companies such as BuildStore offer Self Build mortgage funds in advance, as Self Builders often struggle to pay for both a deposit on land, and the early stages of the building works. BuildStore’s ‘Accelerator’ Self Build Mortgage Scheme releases the money at the beginning of each stage as opposed to when it is completed. This Self Build mortgage option tends to suit those who have a smaller amount of cash available, and who might not want to sell their current home to release equity until their new Self Build is completed. BuildStore also recommend this as a sensible way of keeping any savings you do have as a good contingency fund for later in the project. Some banks, such as the Bank of Scotland, are a lot more flexible in favour of the borrower, and they allow the client (or their architect) to decide their required stages of payment. These Self Build mortgage offers can include initial upfront payments to cover the land acquisition and important professional fees. Whether your Self Build mortgage is paid in advance or arrears, each stage of the completed work requires checking, and must be signed off by a qualified professional. Typically, this stage will be carried out by an architect or surveyor – so it is wise to look ahead and factor these extra costs into your overall Self Build budget. After acquiring a Self Build Mortgage, your cash flow needs to be monitored and budgets should be adhered to as closely as possible. 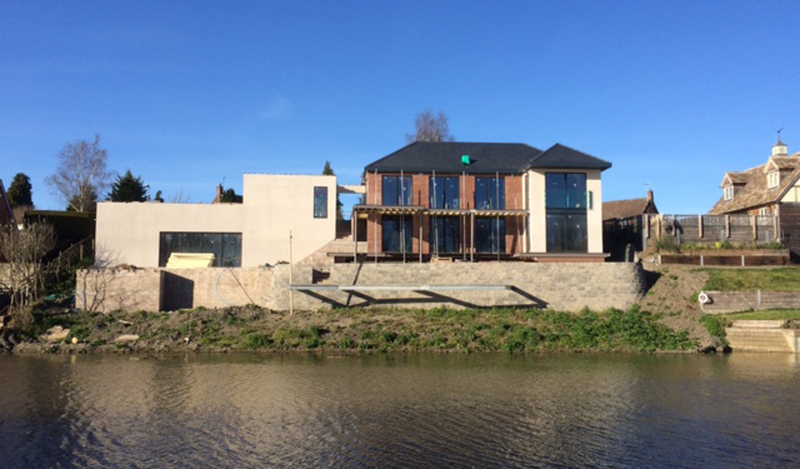 If you can save yourself some money at any stage of your Self Build, you should! Here are a few tips to help your money go as far as possible. It is worth bearing in mind that new build houses are VAT exempt, however, you are only able to claim this back up to 3 months after the build has been completed. Nevertheless, in some cases contractors and suppliers will not charge you VAT, as they are already VAT exempt. It is always worth checking with your contractor if their fee includes VAT, as your cash flow will benefit greatly from keeping more money in the pot throughout the Self Build project. For more information on reclaiming VAT, completing the VAT 431NB form or for general advice, refer to HMRC’s website. 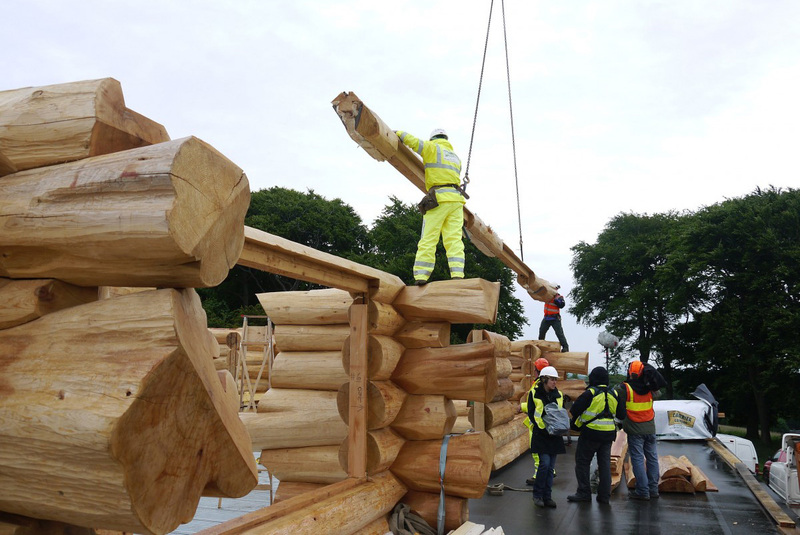 There are some building societies, such as Ecology Building Society, who offer preferential Self Build mortgage rates for buildings that are eco friendly. Ecology encourage this by offering a discount of up to 1.25% off the Standard Variable Rate (for a Certified Passive Haus). The discount will be applied on confirmation of the energy rating your Self Build home achieves – the higher the rating, the bigger the discount! If you dream of building your own home and need help funding this, it’s important to get expert mortgage advice early on to have a clear understanding of your budget and borrowing options. Before you start looking for a plot or think about the design, build system and materials to be used, you’ll need to know that your plans are affordable and mortgageable. If you would like to speak to a BuildStore Self Build Finance Expert today click here, or for more information click here to read our interview with Rachel Pyne from BuildStore.